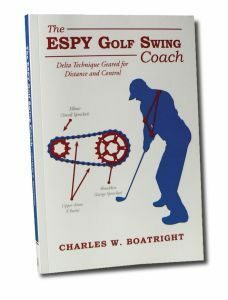 My weekly sports page is usually about the sport of golf and the Sports Psychology of coaching. But, like any sport, fitness is essential to perform at the highest level. 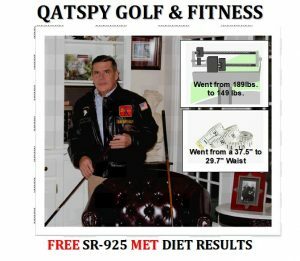 As part of my Locker Room, a collection of articles, I have a Health and Fitness section to help people reach a health and fitness goal in order to maintain a healthy weight. You might be wondering why a sports guy would be publicizing a pumpkin pie recipe. Well, it goes back to my childhood and teenage years when I worked in my grandfather’s bakery until I went to college. Our specialty was breads, cinnamon rolls, and pies. I still have my grandfather’s Hobart 20-quart mixer and commercial convection ovens in my commercial kitchen at home, just directly below my office where I write with my managing editor. 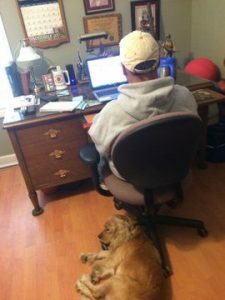 My managing editor, my Golden Cocker Retriever doesn’t leave my side. He is a great writing companion! 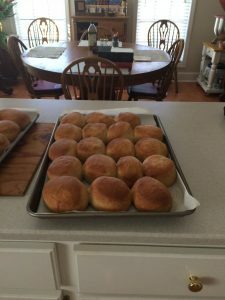 I routinely bake bread and rolls for neighbors and friends, especially around the Holidays. I actually bake now as a hobby to have a diversion from writing and coaching. But there isn’t much difference from baking and following a training program in sports, as both have recipes that must be followed. You learn quickly as a baker, if you have followed a recipe correctly or not; the proof is in the results. I actually do have a slice of pumpkin pie for my breakfast every morning, that I consider as a breakfast of Champions. The Weight Factor (WF) is in the area of a perfect food, like sweet potatoes or pinto beans of 2.952. I lost 7-inches in my waist in 9-months following the SR925 Diet, where I kept 80 percent of my meals below a 3.5 WF. Follow the recipe on back of the Nestle Libby’s® Pumpkin Puree can, except use either a half-a-cup to a quarter cup of sugar instead of the three-quarters cup of sugar based on your preference. This reduces the sugar content by 33 to 60 percent. Sift flour and add salt. Measure flour after sifting. Cut in shortening with a rubber spatula into flour/salt mixture in a mixing bowl and place bowl onto a electric mixer, add medium mixing speed. Gradually add cold water to flour/salt/shortening mixture, one Tablespoon at a time, until dough starts forming a ball. NOTE: NEVER add more flour to mixture after cold water is added. This will cause the crust to become tough. Figure No. 1 Roll out dough onto parchment paper with a marble rolling pin. Slightly flour the top of dough. Figure No. 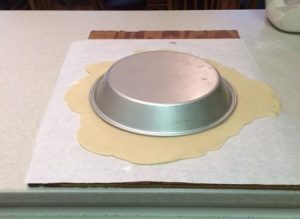 2 Turn the PAM sprayed 9-inch deep pie pan upside down on top of rolled out dough. Figure No. 3 Pie crust pressed into place. Roll out crust to approx. 1/8-inch thickness, slightly dust the top of the dough with flour to prevent sticking to rolling pin (Figure No. 1). 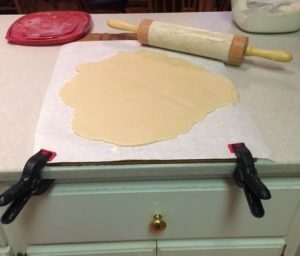 To make the transfer of rolled out crust to the pie pan easier, use a piece of 1/4 or 3/8-inch piece of plywood that is large enough to handle the crust with a piece of parchment paper placed on the board (Figure No. 2). 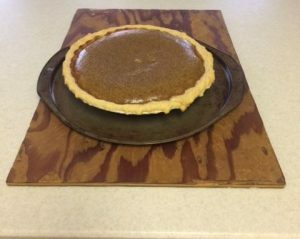 After rolling out the crust, just place the PAM sprayed pie pan upside down onto the crust and just flip the plywood board over and than just lift the paper and plywood board off the pie pan and press shell into place (Figure No. 2 and Figure No. 3). Use a knife to trim off excess crust. You can use your fingers to create a design into the edge of the pie crust. Prepare your crust first, then prepare the filling. Make sure you use a whisk to make sure you mix the cinnamon, ginger, and clove spices in with the pumpkin, eggs, and evaporated milk mixture. The spices have a tendency to settle out of the filling to the bottom of the bowl. 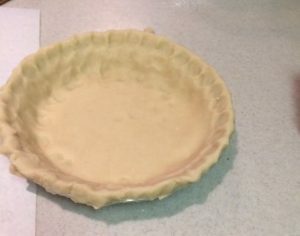 When you place the filling into the pie shell, make sure your are standing right by the oven. Walking across the kitchen with a pizza pan and unbaked filled pie is an interesting venture. Baking the pumpkin pie: (Figure No. 4) Bake the pie as directed on the back of the Libby’s Pumpkin can label. It is usually baked at two temperatures. I use a polished ice pick to test the pie to check if it has finished baking. A knife leaves a large mark in the pie’s surface. The Ice pick hole will close back up as the pie cools. HINT: The best rolling pin to use in baking is a marble rolling pin in Figure No. 1. This applies to rolling out rolls that I featured above. The weight and hard surface assist with rolling out crust and rolls that I do in my bakery. And it is easier to clean up after the prep work. 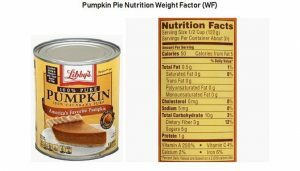 The reason the data above is different from that on the Nutrition Label on the back of the Libby’s Pumpkin can is that the added ingredients include the 33.3% less sugar. Also, the eggs add 12 grams of Protein to the recipe. Eggs are a great source of protein by themselves. Pumpkin pie is a great way to get your protein.